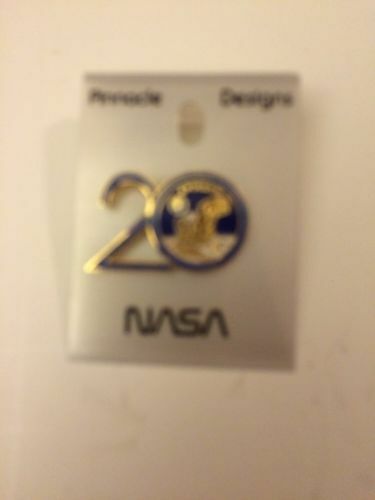 New on card Pinnacle Designs NASA Apollo 11 20 th anniversary Pinback. Enamel on Goldtone. 1". New on card but a few spots of age related darkening. Great collectible! FREE! Sellers: Add a FREE map to your listings. FREE!